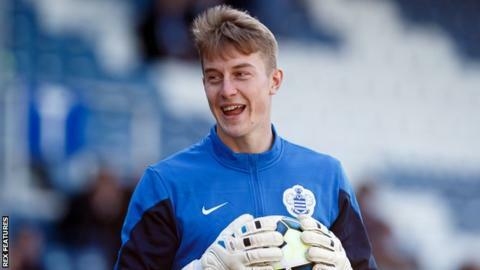 League Two side Stevenage have signed QPR goalkeeper Joe Lumley on a one-month youth loan. The 20-year-old, yet to make a first-team appearance for the Championship side, has had previous loan spells at Accrington and Morecambe. Lumley will provide cover for first-choice Chris Day while Jesse Joronen is on international duty with Finland. He goes straight into the squad for Wednesday's Johnstone's Paint Trophy match against Dagenham.